AWC Packaging is both a manufacturer and distributor of pressure sensitive labels. Label making technology is changing rapidly and we strive to make sure we can offer our customers the very latest in the art of label production. Color proofs are printed on press so you see how your art will look on the paper or synthetic substrates with correct colors. Printing, foiling and die cutting are done in-line, where as digital is done offline. Silk Screen Printing – Silk screen printing for pressure sensitive labels can be done with special attachments on a flexographic press using rotary screens or on rotary silk screen presses using flatbed screens. We offer both capabilities. Silk screen printing is used where you require a tactile feel with raised lettering and images. The ink is color fast. High build varnish and inks are available that offer even greater tactile feel. The use of flatbed rotary presses usually offers a more tactile feel than silk screen attachments on flexographic presses. Generally this process is more expensive than Flexographic or Digital printing. Specialized finishing presses -- We use these presses for those labels requiring extra special effects to enhance shelf presence. 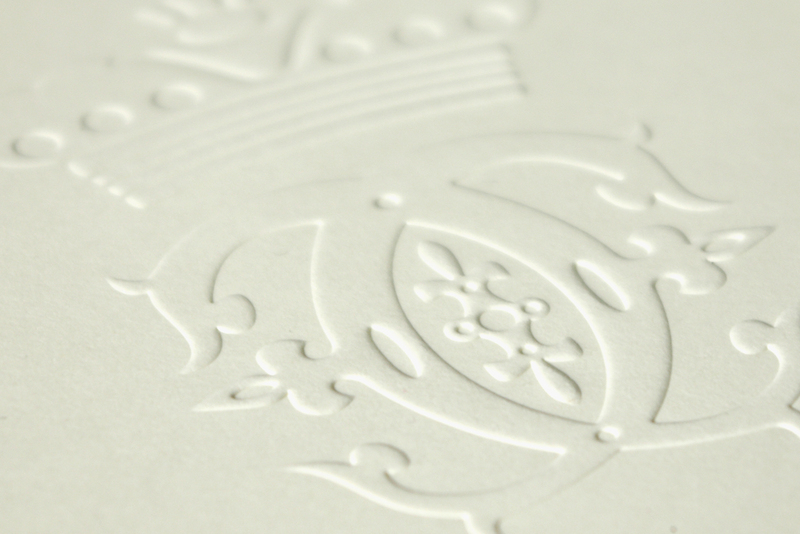 These presses offer high end embossing and foiling stations that can give a label a unique appearance. Multilevel embossing -- These embossing tools are hand sculpted so that the emboss/deboss tooling gives a label a sculptured 3D appearance. We can match the emboss plate with a foil plate for perfect registration to produce labels that appear sculptured and metallic. Micro-emboss -- This technique is done offline to produce faint and very interesting patterns on foils. Some are so subtle that they can only be seen as you rotate the label in light. This technique offers unlimited capabilities and appearances. Combo emboss/foil -- In order to get perfect registration on your lettering where the lettering or image is foiled and embossed, you need a combination tool that foils and embosses at the same time. This insures that there are no registration issues. Art -- If you want to provide your own art we would need it sent to us in an Adobe Illustrator file. Once we receive the art we will format it for printing on the press that best fits your requirements and then present a proof for your approval. This will require some art time on our part which will be apart of your overall cost. If you do not have an artist we can provide one for you to work with.